Sir, i would like to know more about implementing a software pwm. i have searched a lot for simple examples and was disappointed. Can you help me on this?. 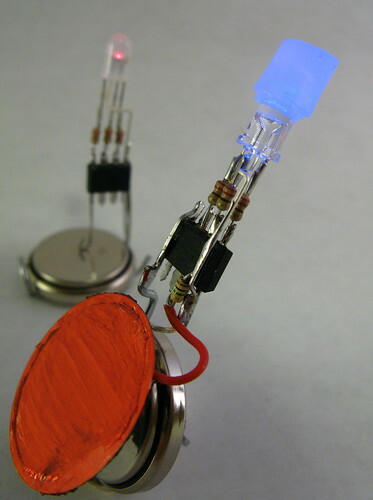 Do you know how to make a tiny strobe circuit (maybe one strobe per second) for a 12v led? 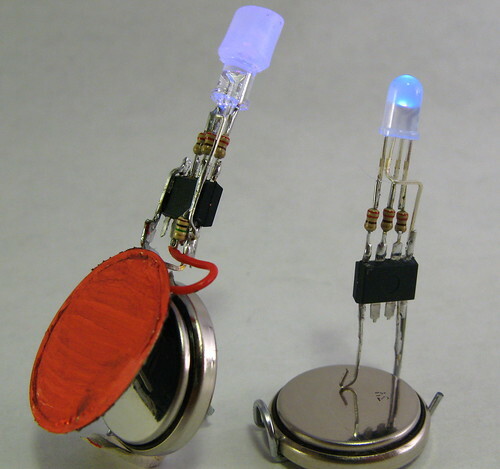 hello, Im looking to attach 3 separate LEDs red, green and blue to a photo resistor and plan to mix the colours that way. using the motion of my hands. I have no idea of where to start, as im new to the whole Ardunio scene. If you could help me out with how to go about constructing like this. I asked about Vf because i need (promised to my wife :) to make a small project with leds lighting from inside a small startfish skeleton (white semitransparent calcium thing) and it must be small. I am still puzzled how to power the whole thing and get it pretty bright. Currently i am thinking about CR2 battary with a small booster to 5-10V to power the leds and the attiny itself (i plan to use attiny44) is powered directly from the battery. The contrrol is via MOSFETs most likely. THis is just priliminary thoughs. Artem, Yes, this is exactly correct. When run off 3V, these don’t work very well at all. Some LEDs work better than others, but in general it’s not that good. Hmm. I see you power the whole thing from a 3V battery. But BLUE has a Vf if about 4V and you have put the R there too. How do you get away with this? IMHO you should get barely glowing blue if at all. Totally. 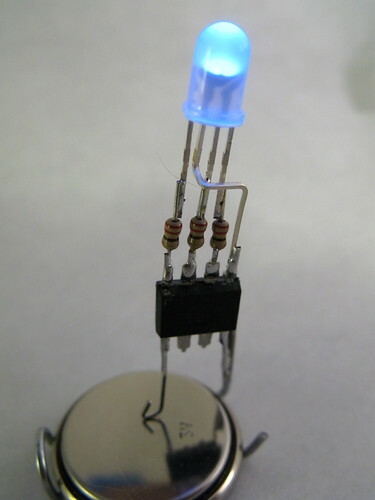 I originally wanted something that looked like a regular LED (just two pins) but could be plugged into a “magic LED re-colorer” to set the color of the LED. 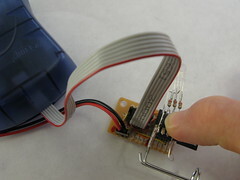 In practice, the two pins were to be Gnd and 1-wire over power. Unfortunately, I couldn’t get it to work as well as I wanted. And it wasn’t easy to interface to Arduino. I2C was the 3rd or so choice down my list, and that’s how BlinkM happened. 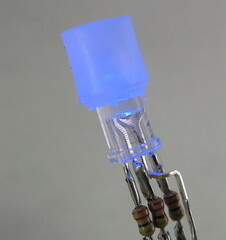 What I’ve been wanting for a while now is an RGB LED with a Maxim 1-Wire controller built in. It would be nice to have a 3-pin LED that was fully programmable, possibly letting you load sequences in to run unattended, or simply hook up many LEDs to one I/O pin.